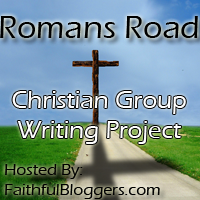 Faithful Bloggers is hosting their second Christian Group Writing Project. This time the focus is on the topic of salvation. The Roman Road Scriptures were divided and each participating blogger had the opportunity to choose a verse. I think SIN is a major stumbling block to getting saved. After all, if you don't believe you're a sinner, why would you need a Savior? You may think that certainly all people realize they sin. But many people rationalize sin. They claim their intentions are pure. Or they may say they've never committed the really BIG SINS like murder or adultery. The standard is extremely high! God is holy. He is perfect. He cannot come into the presence of sin. Consider this analogy. If you walked into a smoke filled room and you never smoked, you would immediately be aware of the odor. But if you were a smoker and you walked into that same room, you may not even be aware of the smell. That's like us rationalizing sin. We tend to adjust to our own standard instead of God's standard of perfection. We are born into this world with a sin nature. You can thank Adam and Eve for that. Since God cannot be in the presence of sin, what can we do? 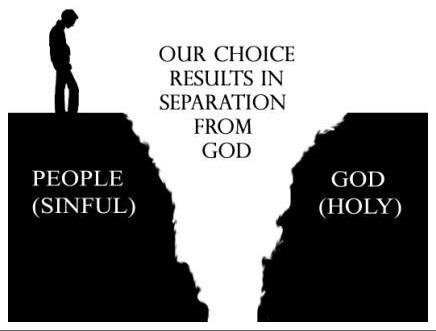 We can't do acts of penance to secure us a place in heaven. The only way to God the Father is ...through Jesus His Son. That is the most wonderful gift from a loving God. He knew we were doomed because of sin. But He sent Jesus to be fully human and fully Divine. He lived a perfect life without sin and died on the cross to pay the penalty for our sins. He was punished for you and me. Because He was the only One who could live that perfect life, He offers us a way to come to the Father. 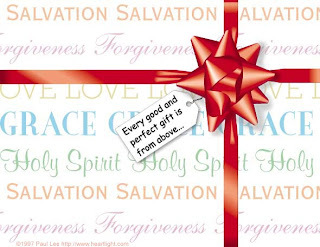 By receiving His gift of life, we can be set free from the penalty of our sins. But there is one thing you must do to be saved. 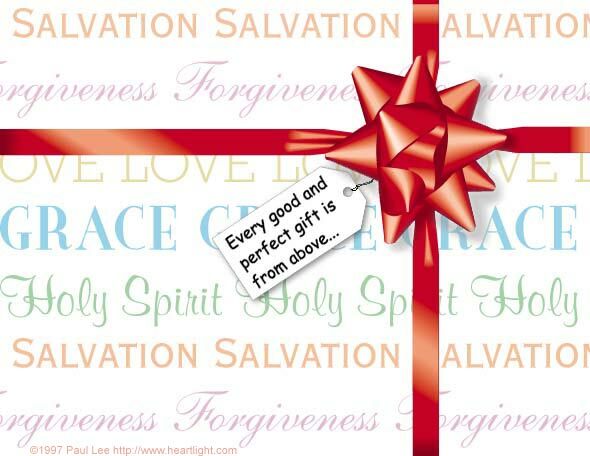 You must receive this free gift into your heart. Admit that you're a sinner and you can't save yourself. Simply invite Jesus into your heart. He will change you from the inside out and ...you will never be the same. God is so amazing . . . I just posted the Roman Road on my sidebar in four easy steps. Then the Lord led me here. Thank you my sister in Christ for standing bold for the Lord. Maybe God wants you to be a 'preacher'! You got it all right here in this blog my friend! I remember Catherine Marshall's book "Beyond Ourselves"... the first sentence said ... "The search for God begins at the point of need"... I have never forgotten that, and it is so true, but we each have our points of need, and the search both begins and deepens right there, as we 'seek Him with our whole heart'. This was really a good one Reverend Debbie! Thank you for the great post. Sometimes I forget than when we think we have it bad, someone else had it way worse. "You may think that certainly all people realize they sin. But many people rationalize sin. They claim their intentions are pure. Or they may say they've never committed the really BIG SINS like murder or adultery." I had a loved one who used to tell me that she was good...didn't do anything to hurt anyone and that church was for hypocrites. After YEARS of us being a living witness before her and sharing Christ as led by the Holy Spirit; last year January she gave her life to HIM!! The deception of satan is that we are good enough for heaven if we're not committing the BIG SINS when GOD IS A HOLY GOD and will not accept any sin...WE NEED JESUS! We can't be "good enough" to get to heaven. Just as going to church doesn't make us saved. Only repentance and confession of our faith in Jesus Christ can do that. Oh Debbie you are ALL OVER the subject that is important to me and those whom I love and those whom I pray for -- the LOST. Love you sister! Keep speaking TRUTH as you do and keep living it in Him. You are a bright light for JESUS!! Thank you for sharing such a clear explanation of humanity's need and our Awesome GOD's priceless provision. I pray many will come by, those who haven't found this narrow road. Great post! Blessings to you sister Debbie. From the inside out--the only one who can do that! Great post, Debbie. Debbie, you did a beautiful job of explaining salvation and WHY we need our Savior. I pray that someone who doesn't know Jesus -- who doesn't understand WHY -- will stumble upon this post. Excellent!! Loved the package graphic. Make it easy by using only a high-quality foundation along with a brush to ensure that you apply it smoothly and evenly. ignoring them and typing away, the sound of water spilling from the filter into. There are many enterprises and organizations taking aspect in selling beauty items. And likewise, simply eating Muscle Builder Foods And doing Bodybuilding Workouts won’t add inches to your chest, arms, and shoulders, if you aren’t regularly pumping iron. "Never feeling hungry is not a sign of being healthy,"